Alban Berg was a part of Vienna’s cultural elite during the heady fin de siècle period. His circle included the musicians Alexander von Zemlinsky and Franz Schreker, the painter Gustav Klimt, the writer and satirist Karl Kraus, the architect Adolf Loos, and the poet Peter Altenberg. In 1906, Berg met the singer Helene Nahowski, daughter of a wealthy family (said by some to be in fact the illegitimate daughter of Emperor Franz Joseph I of Austria from his liaison with Anna Nahowski); despite the outward hostility of her family, the two were married on May 3, 1911. In 1913, two of Berg’s Five Songs on Picture Postcard Texts by Peter Altenberg (1912) were premièred in Vienna, conducted by Schoenberg in the infamous Skandalkonzert. Settings of aphoristic poetic utterances, the songs are accompanied by a very large orchestra. The performance caused a riot, and had to be halted. This was a crippling blow to Berg’s self-confidence: he effectively withdrew the work, which is surely one of his most innovative and assured first orchestral compositions in the literature, and it was not performed in full until 1952. The full score remained unpublished until 1966. From 1915 to 1918, Alban Berg served in the Austro-Hungarian Army and during a period of leave in 1917 he accelerated work on his first opera, Wozzeck. After the end of World War I, he settled again in Vienna, where he taught private pupils. He also helped Schoenberg run his Society for Private Musical Performances, which sought to create the ideal environment for the exploration and appreciation of unfamiliar new music by means of open rehearsals, repeat performances, and the exclusion of professional critics. Alban Berg had a particular interest in the number 23, using it to structure several works. Various suggestions have been made as to the reason for this interest: that he took it from the Biorhythms theory of Wilhelm Fliess, in which a 23-day cycle is considered significant, or because he first suffered an asthma attack on the 23rd of the month. 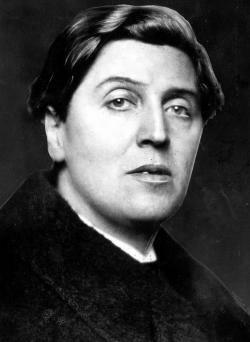 Three excerpts from Wozzeck were performed in 1924, and this brought Alban Berg his first public success. The opera, which Berg completed in 1922, was first performed on December 14, 1925, when Erich Kleiber conducted the first performance in Berlin. Today Wozzeck is seen as one of the century’s most important works. Berg made a start on his second opera, the three-act Lulu, in 1928 but interrupted the work in 1929 for the concert aria Der Wein which he completed that summer. Der Wein presaged Lulu in a number of ways, including vocal style, orchestration, design and text. Other well-known Berg compositions include the Lyric Suite (1926), which was later shown to employ elaborate cyphers to document a secret love affair; the post-Mahlerian Three Pieces for Orchestra (completed in 1915 but not performed until after Wozzeck); and the Chamber Concerto (Kammerkonzert, 1923–25) for violin, piano, and 13 wind instruments: this latter is written so conscientiously that Pierre Boulez has called it “Berg’s strictest composition” and it, too, is permeated by cyphers and posthumously disclosed hidden programs.